Women with medium to long hair looking for a festive hairdo may like the idea of a loose curly updo. This is a chic and girlish hairstyle wearing which you will keep all male eyes on your posh appearance. It is prettier especially with a lovely fresh flower or a similar hair accessory. How to Style: Start styling by clean and dry hair. Apply a little amount of matte hair protective cream to make locks silky and soft. Then use a curling iron to get medium-sized curls section by section. Once you are done with the curls shake your head and run your fingers though the tight curls to get loose and stunning waves. Fix them with hair spray. Then tease the top part a little bit and pull off a loose updo with the help of bobby pins. 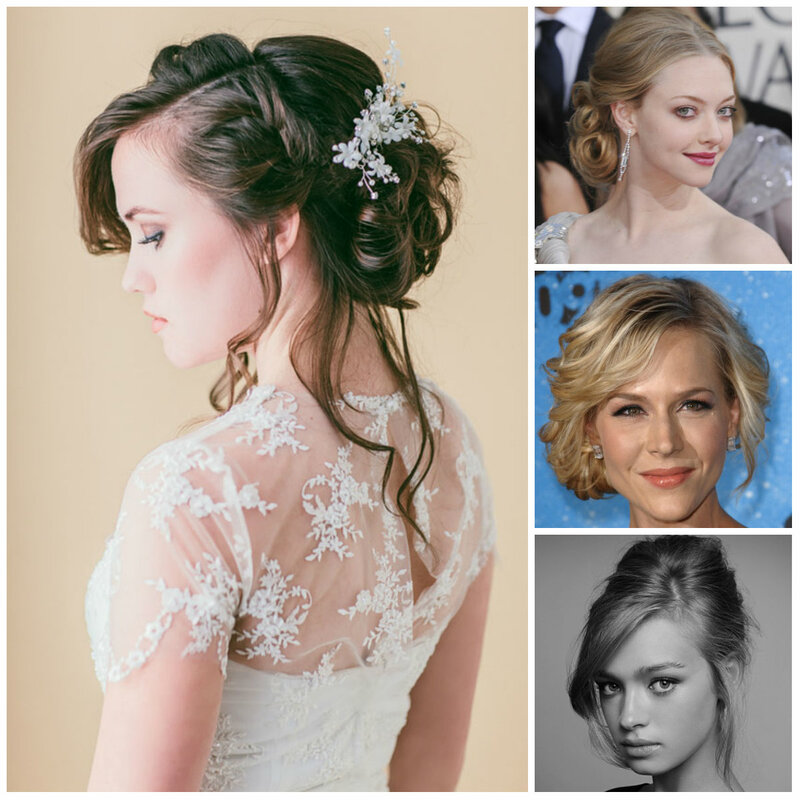 As for big waves in an updo hairstyle, they grab much attention and keep your style more elegant. This hairdo is easy to get on naturally wavy hair but in case you have straight locks you can still get the desired look by styling tools and products. How to Style: Opt for thin beach waves by a curling tool or by braiding your hair at night. Untie the braid in the morning and continue styling. Since the braid provides with thin waves closer to messy wavy hairstyles you can pull all off a cute loose wavy hairstyle with face framing fringes or side swept bangs. In case you use hair products avoid wet or high-shine sprays to keep hair textured and natural. Another feminine and seductive hairstyle for spring and summer is the loose braided updo. It’s a gorgeous hairdo thanks to the versatility of braids. Different plaits provide with different updo hairstyles. 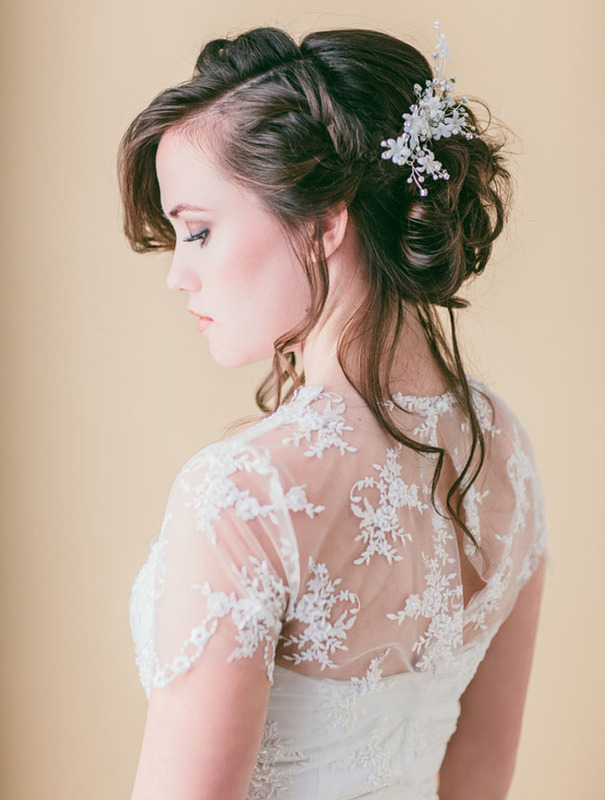 The most popular braids for loose updos are French, Dutch, fishtail and simple braids. How to Style: If you like you can combine several braided styles in one updo hairstyle. Here you are supposed to braid the side parts of hair leaving the front face framing layers out of it. Then pull off a loose bun with bobby pins and curl the front strands into loose waves. 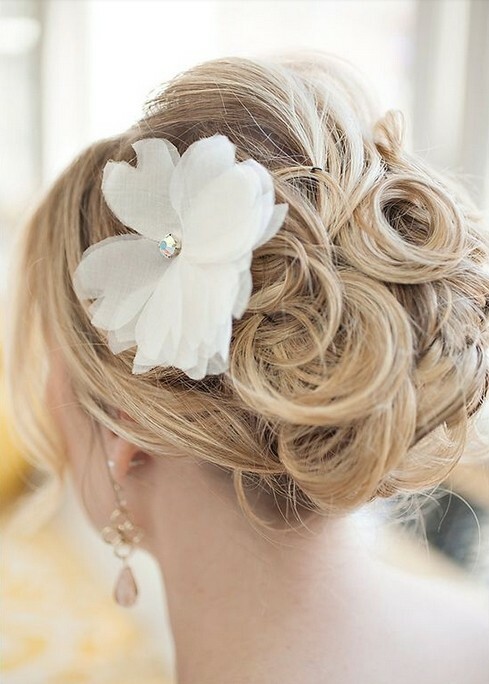 In order to bring out your hair color you can add a stylish hair accessory on the side part. One of the trendiest updo hairstyles for the moment is the French twist. Luckily it is possible to create a loose and casual French twist on messy hair. So, you have something cool for bad hair days. 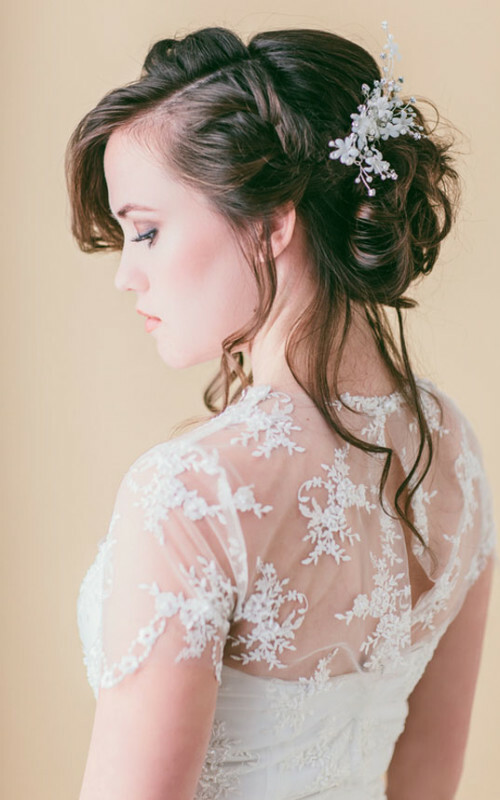 It’s the loose and messy French twist updo. How to Style: Use the common technique of styling the French twist. First of all, tease the crown part and spray hair spray. It will provide with the desired bouffant effect. Then twist the rest of hair and pin with bobby pins on the back part. And the final option of a loose updo is the shown festive bun hairstyle with big curls. Obviously it’s a party hairstyle as the top part is very neat and elegant and the tips of hair are curled into big waves. The effect is glamorous and looks ideal with soft and delicate makeups. How to Style: Tease the top part of hair. Spray hair spray and comb gently to bring top possible neat effect. Go for center parting to create the well-balanced face framing style. Then pass on to the tips. Curl them into big curls and gather them into a low bun hairstyle section by section fixing with bobby pins.